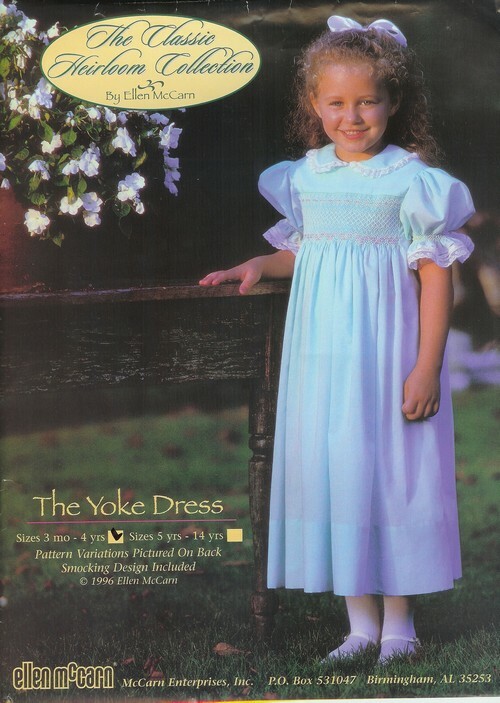 The Ultimate Yoke Dress has 150 step-by-step illustrations & instructions for pleating, 10 sleeve variations, 8 collar variations, scalloped hem, skirt variations & heirloom machine sewing techniques. The adjustable smocking design graph "Christy" is included. Select Pattern Size option 0/3 months - 4 yr. 5 - 14 yr.